Luxury Accommodation Constantia - Luxury Accommodation in Constantia Valley, near Cape Town at Ascot Gardens, Constantiaberg. 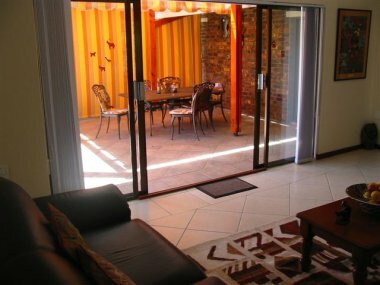 Furnished and decorated in an Africa theme, the spacious luxury African Suite has a large covered outdoor patio with garden table and chairs and BBQ facilities overlooking the gardens. The bedrooms and lounges have ceiling fans. Shared swimming pool and sundeck, laundry, library DVD, VCR, DSTV satellite TV, wireless broadband internet, a music center, Bedside Clock Radio and secure off street parking. 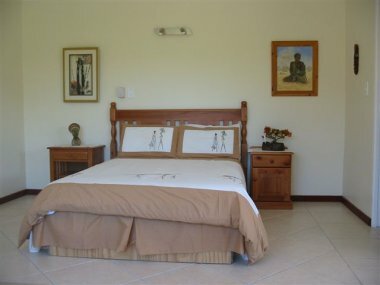 African suite has 2 deluxe bathrooms en suite , full kitchen and spacious bedrooms and lounge with leather couches . 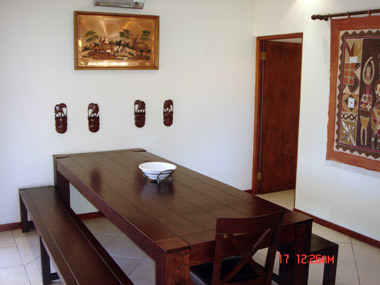 Spacious luxury ONE or TWO bedroom African suite offering luxury accommodation decorated and furnished in an African theme. Ideal for family or business guests.